I was going to wait on 7th edition. I wasn't sure about how the rules would turn out, so didn't pre-order it or rush out on release day. 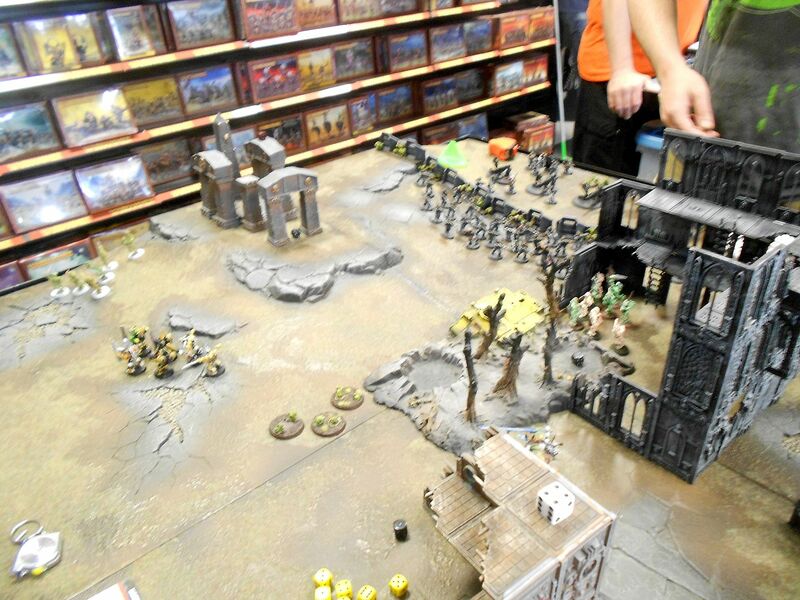 But the more I heard it mostly sounded fine, and the local Games Workshop had a nifty summer campaign revving up that got me interested. One gift card left over from my birthday later I had a new rulebook in hand and took a quick flip through it during lunch. Then off to the store! The campaign is a map-based affair (see picture above). I'm on the right-hand side about three-fourths of the way up, for what it's worth. We have a bunch of players, not quite sure who's nearest me. 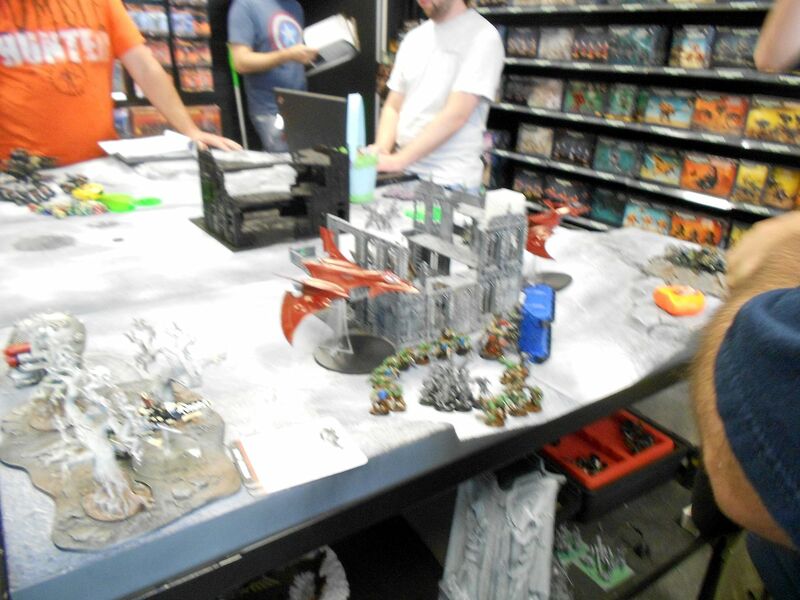 There are a bunch of Chaos Marine players, one Chaos Daemons, a Dark Eldar, a daemon-summoning Eldar, a Space Wolf, a couple of Blood Angels, a Dark Angel and a Fallen, a Tau, an Imperial Guard, and probably a few more. 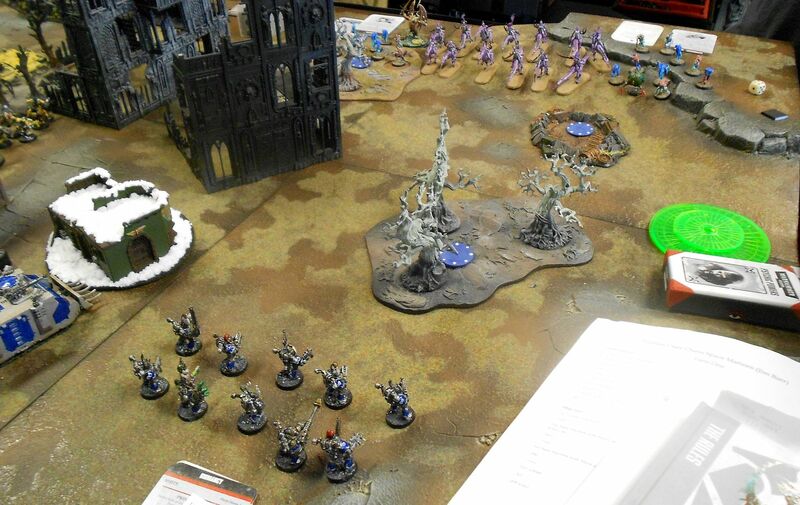 In the initial stage I didn't end up close enough to any opponents for any regular matches, but I got in a test game with Mike and his Daemons. For the initial round in the league, we each get up to 200pts to spend on an HQ plus 500pts for the rest of the force. If the HQ goes over 200, the excess comes from the army. Future rounds have larger armies. 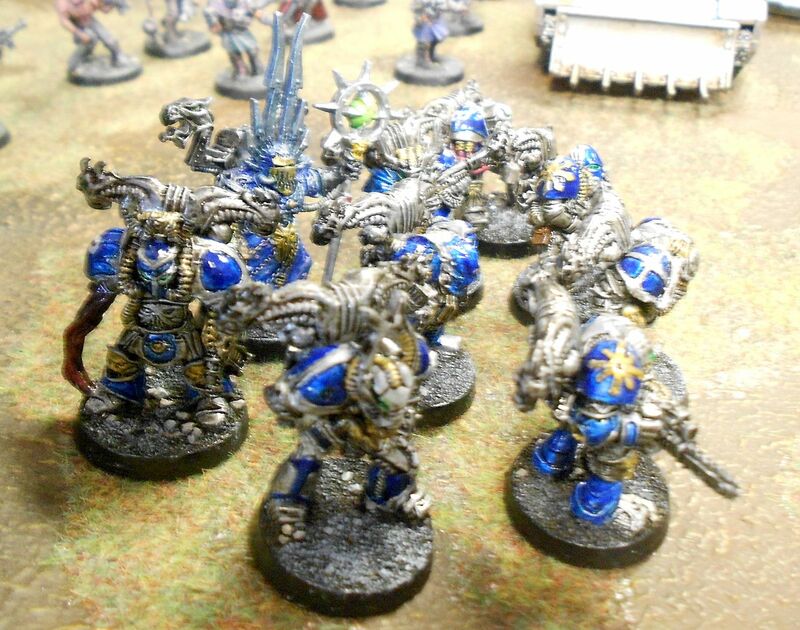 I took a tricked-out sorcerer as my "Grand Warlord", two squads of Tzeentch-marked marines and a cultist squad. 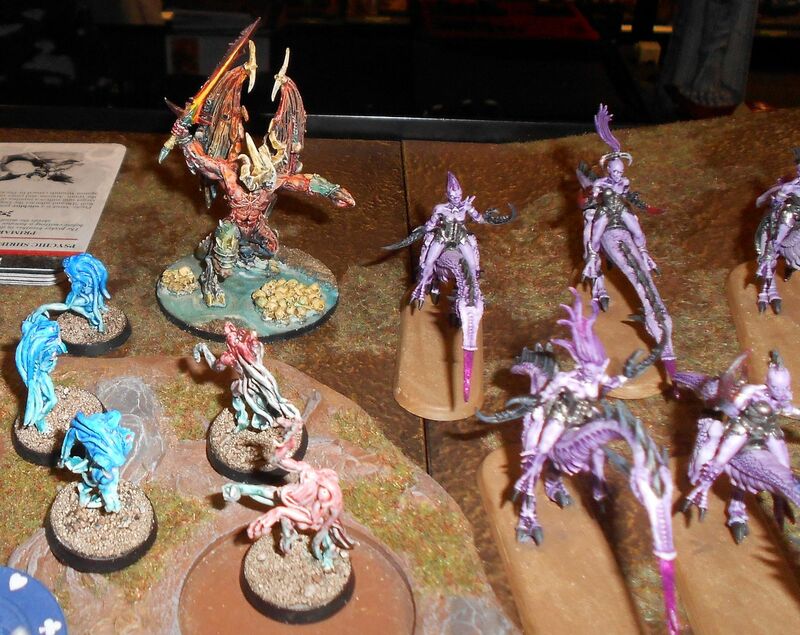 Mike took Belakor, two squads of Horrors and a big squad of Seekers. 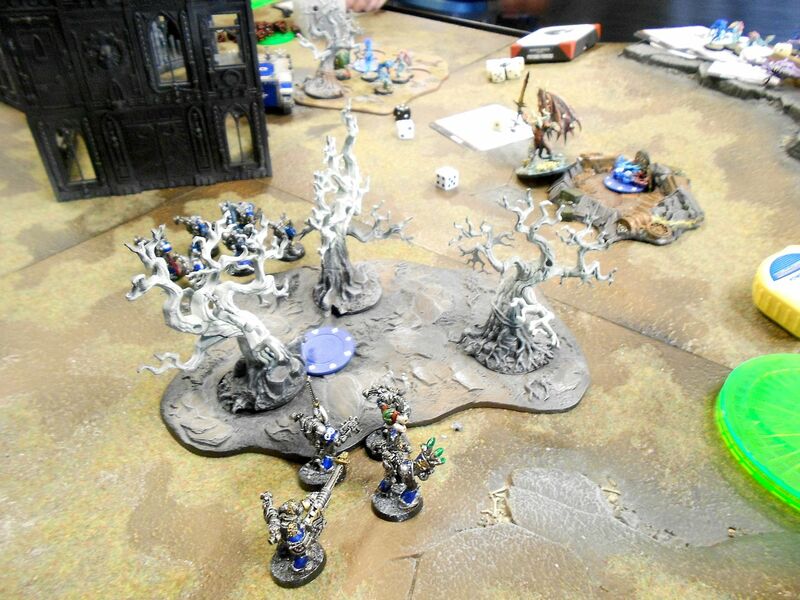 Belakor made the Seekers Invisible and sent them forward while the Horrors moved onto objectives. 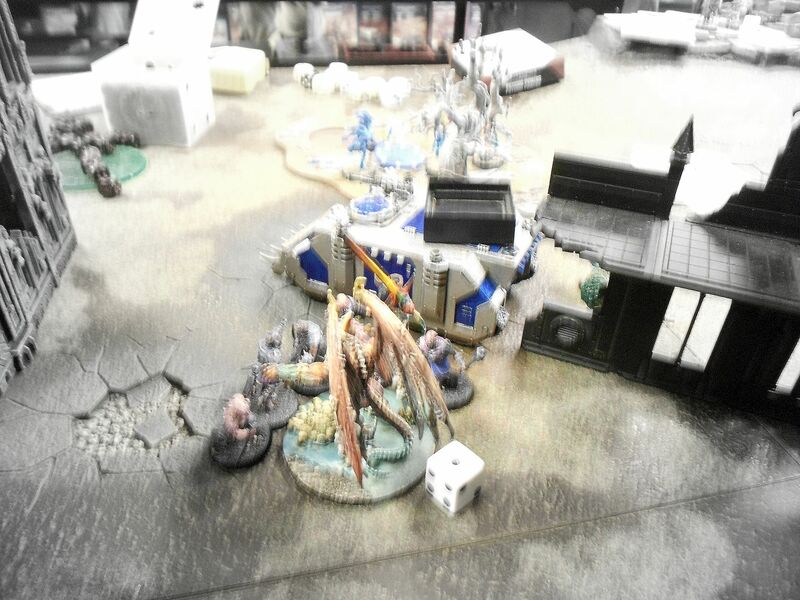 I shifted away to avoid the Seekers and granted a boon to one of the marine champions who promptly devolved into Spawnhood and was sent forward to block. I dumped all my dispel dice to stop invisibility on the Seekers again. 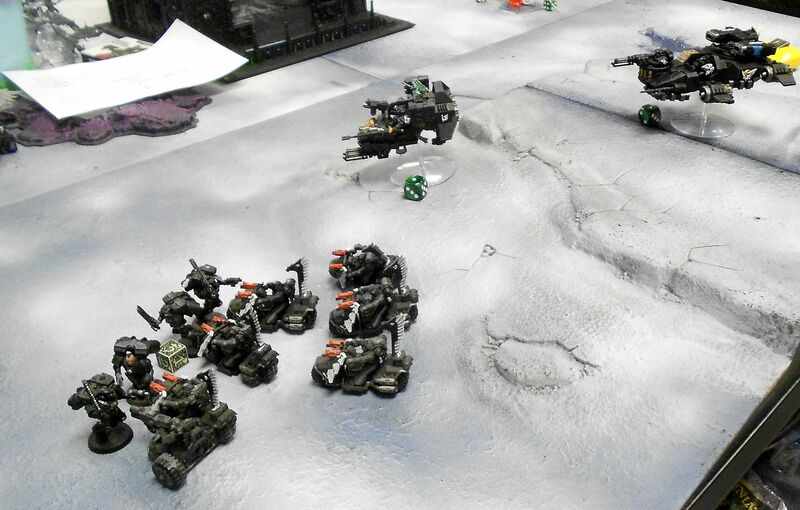 They came forward anyways and proceeded to charge into the marines and spawn. The Horrors summoned some Herald backup, jacking Mike's power dice up even higher. 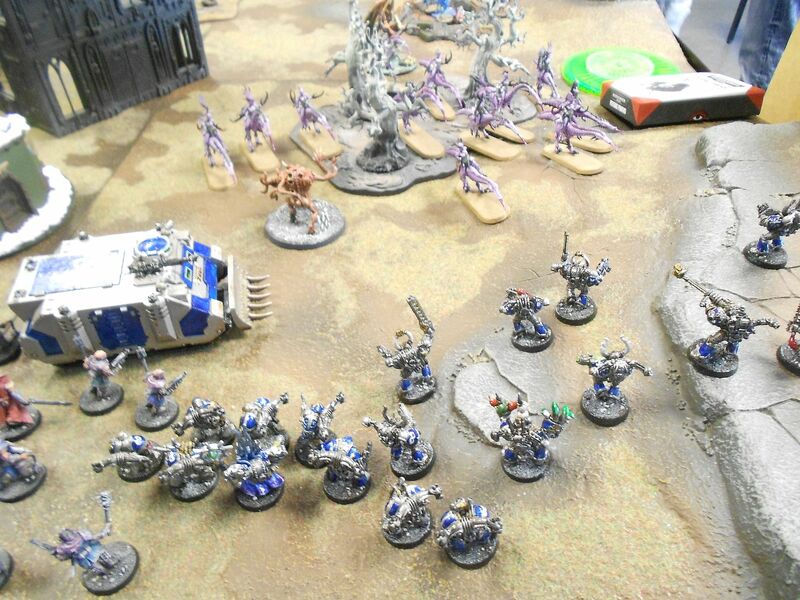 The Seekers did some damage but the marines and spawn held out. 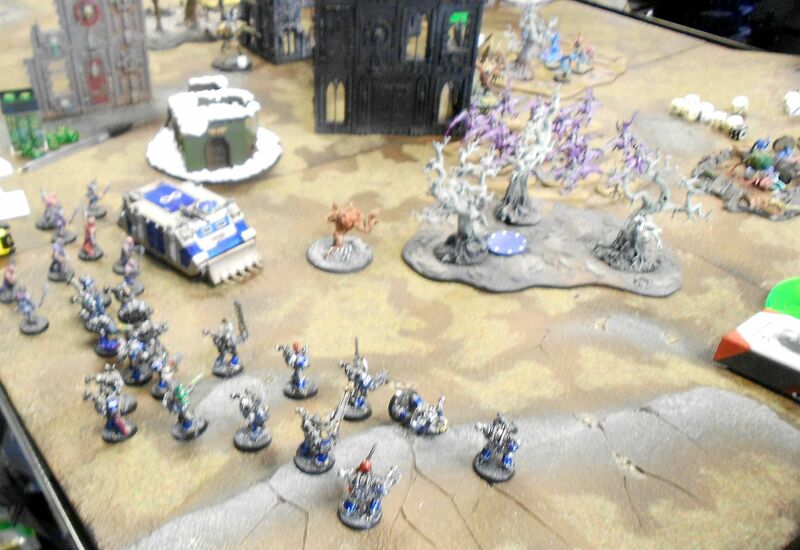 Sorcerer and the other squad charge in to back up their comrades. The combined squads finish off the Seekers. The dice gods reward the faithful. The Endless Ones pushed ahead and started whittling down one Horror squad. Belakor and my sorcerer engaged in some psychic dueling. 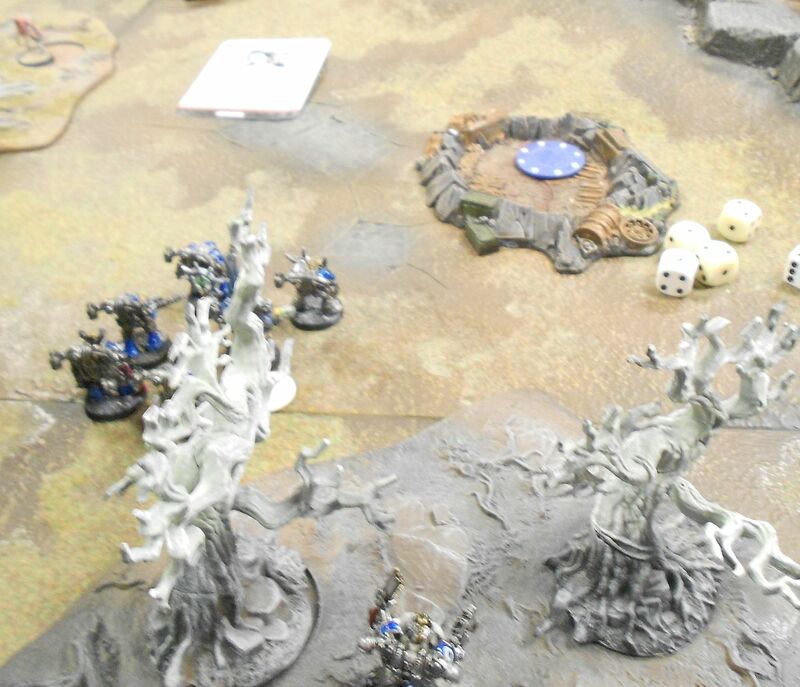 The spawn charged into the Horrors and acquitted itself well, but Belakor swooped in and tore the spawn apart. 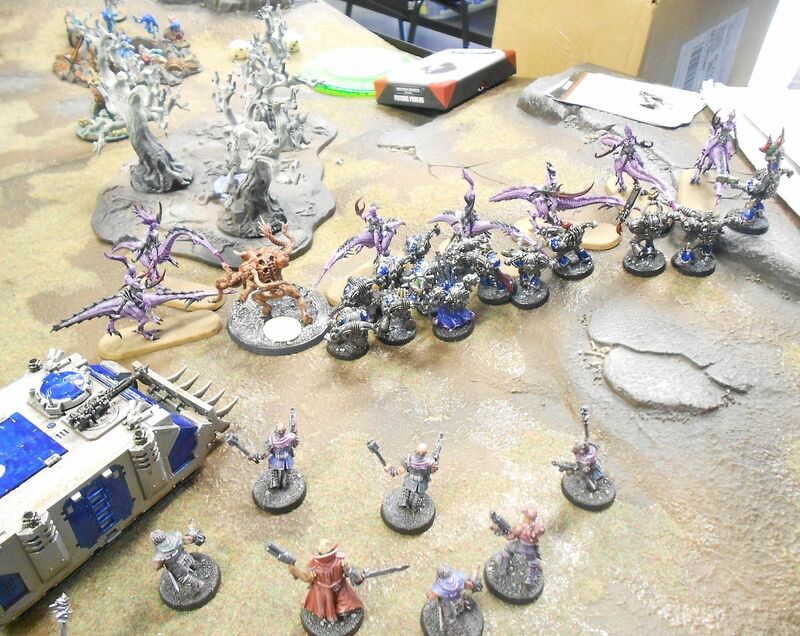 Meanwhile the cultists had piled into the Rhino and drove over near the far objective. 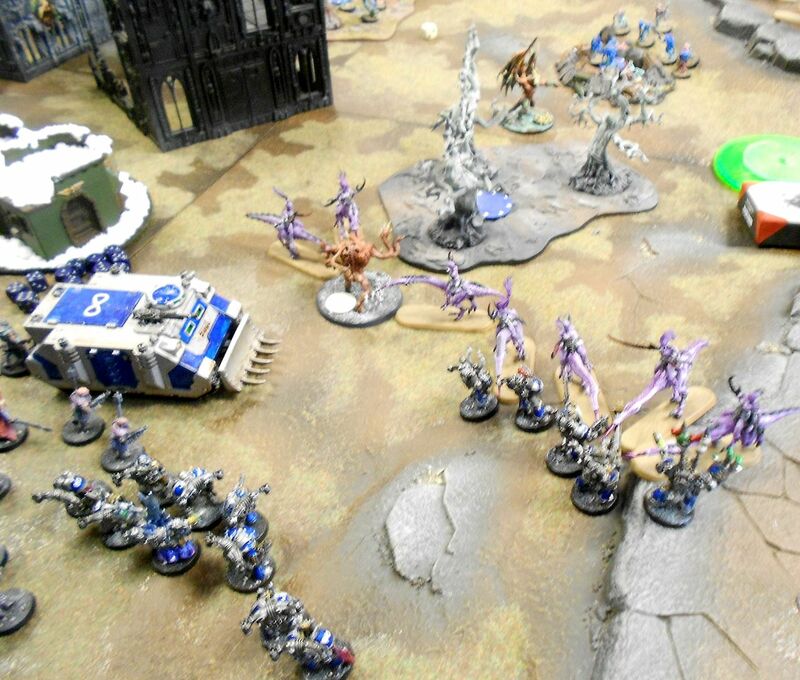 Heralds split off from Horrors and blast the Rhino apart. Belakor flits over and engages the cultists. They manage to do a wound to him and make their morale check, sticking for another round. Sustained fire takes out one Horror squad. 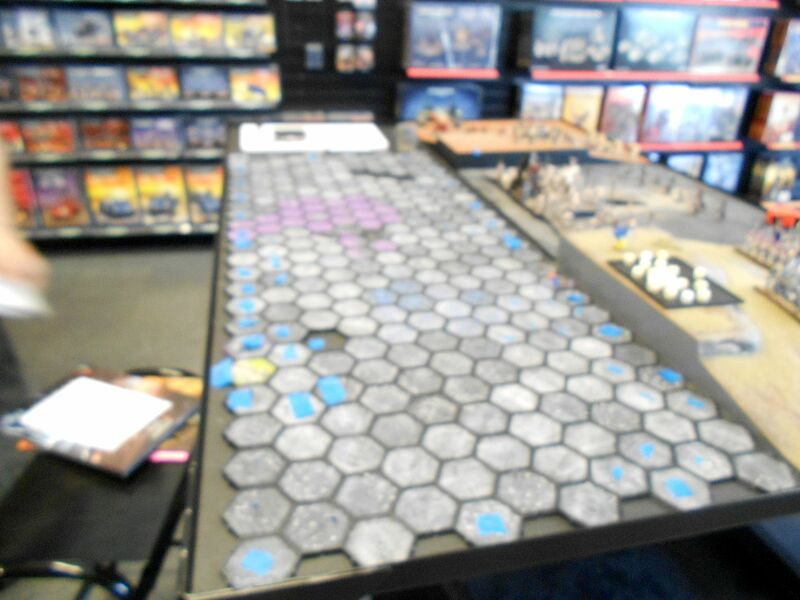 The game ends here on turn five, with us each on one objective. Neither one of us has linebreaker or slay the warlord, but First Blood from the Seekers makes the difference and the Chaos Marines win 4-3. Tight game, and I was worried I wouldn't be able to get across fast enough to clear him off of one of the other objectives. 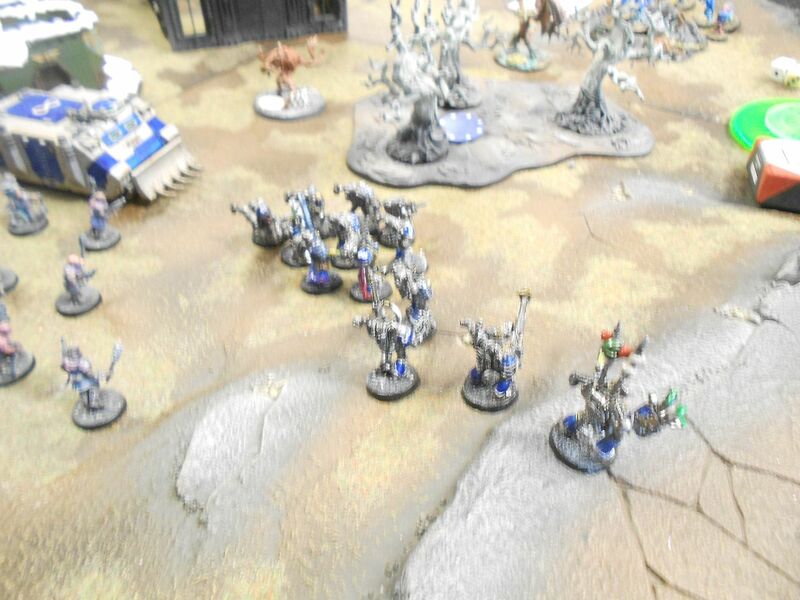 The spawn was a happy accident, putting out more punch than the stock champion would have and giving me a fast unit able to push ahead of the marines. Looking forward to round 2 and the action heating up! Sounded like a fun game. I am on the fence for 7th edition but from what I am reading I will probably get a copy soon and get my Imperial guard ready to play. I like a lot of what I see, some not so much but most of that (like in most games) is depended upon who you play with.